To begin to understand design thinking it may be helpful to at first take a brief look at design. As educators design is something we practise regularly and we most likely have designedly attitudes that we can pass on to our students. Design like problem solving, is a natural and ubiquitous human activity. 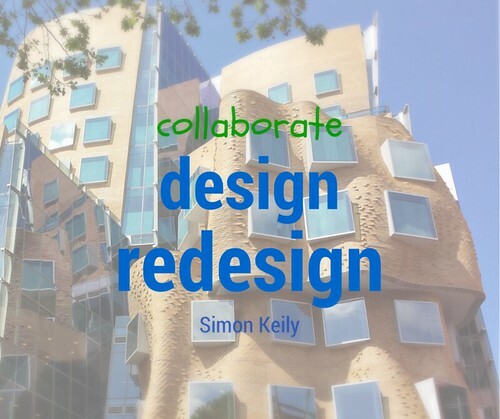 Let’s explore a perspective on design as discussed by Kuratko, Goldsworthy and Hornsby (2012) who wrap concepts of design up with creativity and innovation. These authors state that creativity is a set of thinking skills that help bring novel ideas into the world. Design is the process of shaping those ideas into an artefact and innovation is the extended process of providing that artefact to a wider audience. These definitions require a subtle shift in thinking for the educator who is well accustomed to using the word innovation as describing something new – whereas the above definition views new ideas as being a process of creative thinking that are brought into the world via design. These authors also tell us that the artefact that has been designed can be anything from a product, a service, a process or even a business model. What types of things do you as an educator design? What about your students? It may help to keep in mind that a designer is anyone who comes up with a new artefact and tweaks it into a desirable form (Kuratko, Goldsworthy & Hornsby, 2012). As educators we do this everyday. Our students…ideally! An important idea for all educators to reflect on is that “design has become too important to be left to designers’ (Brown & Katz, 2011, p. 381) and as stated in some of my earlier posts, we are all designers. Furthermore, thinking like a designer involves different kinds of abilities and competencies that find relevance in 21st century education (Scheer, Noweski & Meinel, 2012). How do designers think? This question leads into discussions on design thinking as well as its application in education. What is design thinking? On the surface this is an easy question to answer but in reality the concept takes deep probing to develop a full understanding. The term design thinking has gained considerable attention over the past decade in a variety of contexts, recognising that design is now central to innovation (Kimbell, 2012) – and is making its way into the educational sector in response to the phenomenal amount of knowledge now available to all learners. It is seen as being a 21st Century Skill to be developed by educators and students alike. It is worth stating that what design thinking is supposed to be is not well understood (Kimbell, 2012). So as a point of reflection it is well worth listening to Tim Brown speak of design and design thinking (TedTalks, 2009). While listening to Brown’s oration try to marry his thoughts with your educational space and the problems you and your students are faced with. Brown tells us that design is more about aesthetics, image and fashion. Design is about solving big problems … global warming, healthcare and amongst other things education. It is about exploring the concept of participation, which has huge implications in education – as we try to design participatory pedagogies. Thus, thought leaders in design are declaring that design is now too important to be left to designers (Brown & Katz, 2011) and that we can all be designers, students and teachers alike. Without constraints design cannot happen (Kuratko, Goldsworthy & Hornsby, 2012). It’s just as well we have design thinking on our side because in the realm of designing spaces for learning that leverage good pedagogy there are many constraints that will pummel the process. Design thinking (Razzouk & Shute, 2012) promises to be able to generate innovation and creativity to overcome constraint and in turn generate novel solutions to wicked problems. And thus I began a journey through this subject “Designing Spaces for Learning” under the expert guidance of Ewan McIntosh. What have I learnt … much! This is a subject of learning that every educator should take as we have probed pedagogy and learning spaces from many different angles. I was intrigued by the work of Hatchuel & Weil (2003) who provided a mode of reasoning (Design Theory) that encourages ‘design thinkers’ to act in very creative ways. ..unlocking those design solutions that seem elusive and unknown. The idea is to explore ‘concepts’ and using divergent thinking to create new ‘knowledge’ that can be applied to problems such as the design of learning spaces. As a teacher I wonder at students being taught these skills to survive in a world saturated in knowledge. A key point of learning in this subject is that we are all designers. Other key issues we have discussed range from space as a change agent, creative cultures, learning centred environments and beyond. It has been an extremely rich and academically rigorous journey. Another key theme has been good pedagogy and students at the centre of their learning. Design Theory is even finding it’s way in to school curriculum as a way of providing students with those ever important 21st century learning skills. The big question to ponder is whether re-imagined learning spaces improve student outcomes. These spaces undoubtedly leverage good pedagogies and research is beginning to show that some reforms are improving student learning (Barrett, Zhang, Moffat & Kobbacy, 2013). The loud message for me is that new pedagogies do require new learning spaces and much teaching is being hindered by old built pedagogies. The other loud message is that architects and designers are working on designing new spaces for learning (Dovey & Fisher, 2014). Leonard (2007) calls for architects to embrace new education pedagogies and to use the physical environment as a major reform element. These professionals are grappling with designing these spaces which powerful opportunities for professional educators to join the quest. We are the masters in education and should be having an input into how these spaces function. We need to become design thinkers. No doubt many of us teach in spaces of learning that even though they are architect designed do not quite hit the mark. The other powerful learning experience for me was to organise a creative coffee morning with Graham Clark. On this morning I had the pleasure to mingle with fellow educators, architects, designers, writers…innovators. The core message was that education has a lot to learn from other creative cultures and their ways of thinking should be injected into our system of education. We need to collaborate to design and create new ways of doing. We do have a surprising need for strangeness (TedTalks, 2013). A key question asked by this course was “What processes are required to make the shifts from teacher or institution centred environments?” This is an extremely important issue to grapple with because even with the advent of new technologies much teaching is not student centred. Mandated curriculum is not student centred and is still very much content focussed. How to make the change – perhaps through redesigned spaces? Certainly through redesigned curriculum and pedagogy. I think one way is though acknowledging that space and pedagogy do go hand in hand and one does effect the other. Many of us teach in classrooms better designed for old pedagogies. I have certainly experienced the liberation of teaching in well designed spaces and have seen how new spaces inform my teaching as well as improve my students reactions to my teaching. What of the future? Who knows… but we do need to begin to challenge a system that puts us in classrooms of the old. We need to challenge our own assumptions about how spaces for learning look and function…indeed how learning looks. Even the assumption that form follows function is to be challenged. The beauty of design thinking is that though a cycle of observation, experimenting, prototyping and redesigning we can make space and pedagogy look very different. Change is needed. Disengaged and disenchanted students will be the reminder. We may use built pedagogies as tools to initiate and leverage those changes. The task ahead is to lead by intentional design. One final thought of reflection: Should learning spaces be viewed as a tool to support learners as problem solvers – in dialogue with each other? If so then the thoughts of Helen Haste (HarvardEducation, 2009) are perhaps relevant. Haste views the problem solver in dialogue – operating socially. Perhaps space can be viewed as a tool to support the social problem solver. The problem solver is then, as mentioned by Haste, transformed through the use of the tool – in this case the designed learning space. With such thinking we begin to see learning space as an extremely important part of any learning journey. In conclusion, one of the magical parts of this M.Ed journey has been studying alongside a few key people. A huge thanks goes out to Graham Clark, Heather Baillie, Matt Ives and Bec Spink. Thanks for helping me disrupt some zones of familiarity. To Bec….congratulations on your finish. Dovey, K., & Fisher, K. (2014). Designing for adaptation: the school as socio-spatial assemblage. The Journal of Architecture, 19(1), 43-63. Razzouk, R., & Shute, V. (2012). What is design thinking and why is it important?. Review of Educational Research, 0034654312457429. This is a summary of a project proposal that I worked on collaboratively with other stakeholders during 2013. The project hoped to build relationships between the museum and secondary education sector while bringing intentional design to a learning space. All specifics of the proposal have been removed but it serves as a good template of how collaboration might be built between secondary educators, cultural institutions and creatives such as architects. It was also this project proposal that led me to undertake my M.Ed (Knowledge Networks & Digital Innovation) including Designing Space for Learning. The purpose of the original proposal was to present a possible co-design project between a Victorian Museum, a Victorian University and a Melbourne based architectural practice. The suggested collaborations would allow the Museum to harness the expertise of University Architects in exploring a number of issues surrounding the design of learning spaces. Firstly, how learning spaces may be strategically designed to promote engagement in learning and secondly, how these physical spaces might inform any future teaching and learning activities that might be developed. The redesign was to support future pedagogies that might take place in a museum space undergoing redesign. A case was also presented for advancing the teaching and learning practice that took place on site at the Museum, so as to support a Museum of The Future. Whilst it was clear that the Museum would benefit from the suggested tertiary sector partnership, budget limitations did need to be explored. For this project the University hoped that the Architect practice would assist with limitations of budget by seeking industry backing. Learning in architecturally designed living learning environments. This initial discussion led to informal but exploratory discussions with “Susan” (an Architect) from a University’s Department of Architecture and Built Environment. Susan is a lecturer with strong interests in education and community engagement who has led co-design projects with primary school students in Melbourne and surrounding areas. The proposed project with the Museum would involve a partnership with Susan and her colleagues from the University with some support and guidance from the Architects, if appropriate. Susan enthusiastically prepared a brief that has been omitted from this blog post but it used ideas of working with secondary or primary school students. This style of co-design is appearing more frequently in literature on design of learning spaces. Architecture and Urban Design students would be briefed by Museum educators on learning requirements at the Museum, exploring external and internal learning spaces. University Architecture students, with professional mentorship from The Architect, respond to our brief by possibly fabricating a modified learning space. F-6 students will be called on to engage with and respond to this temporary learning space. F-6 students will offer feedback to architect students and The Museum educators on the modified learning space. Architect students may teach/discuss concepts of design with young F-6 students. Establishment of collaborative partnerships that would help develop and grow the Museum educational expertise and knowledge, thereby assisting in remaining a leading contributor to education and tourism. Strengthened partnerships with adult education and tertiary institutions, in particular from regional areas. Encouraging establishment of cross-departmental projects within the Museum such as education, facilities and exhibition design. Strengthening of the Museum’s ability to deliver 21st century learning experiences and relevant content through greater awareness of intentional design of learning spaces. Such a collaborative project with the University would invite Museum personnel into a learning journey leading to changes in the ways Museum personnel interact with and utilise current learning spaces. The project may also inform how learning spaces in the Museum may look in the future. To generalise, professional educators are aware of the idea that student engagement is strongly affected by the physical teaching and learning environment. Thus a tour of modern schools will see attempts at developing spaces that allow for student centred, collaborative and project based learning. Students in modern classrooms are now viewed as prosumers (i.e. producers and consumers of knowledge) rather than simply consumers of knowledge. Architect designed spaces are commonly designed to allow students to collect, curate and produce content. Victorian Government policies (DEECD) describe this as anywhere, anytime access to knowledge. At a state level, The Victorian Department of Education and Early Childhood Development (DEECD) recognises that school design can influence both innovative teaching practices and student outcomes. Published literature from DEECD specifically calls for deeper thinking about how spaces are designed and used for learning. Importantly, the DEECD publications see built environment as including both external and internal spaces. To reflect this, external spaces in school environments are also seeing redevelopment with the intention of increasing a sense of well being and connectedness with the learning community; whilst reflecting concepts of sustainability. It would seem pertinent that the Museum engages meaningfully in similar exploration of external and internal spaces, so as to ensure that key stakeholders continue to see the Museum as a leading contributor to the education and tourism sectors. This suggested University/Museum project would be complemented by the Museum’s own additional explorations of alternative teaching and learning pedagogies such as Design Thinking. Currently, education experiences offered by the Museum follow a knowledge deficit model that does not recognise the learner’s prior knowledge and creative ability. 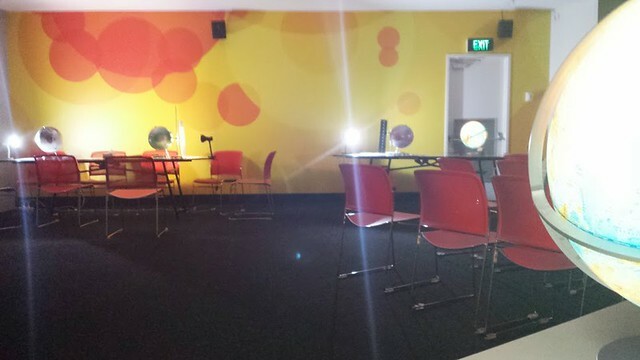 Current Museum learning spaces support pedagogy that treats learners as an audience. With a Museum of The Future in mind, I perceive a strong need to challenge the current approach to our student audiences and a need to develop a vision for learning that promotes scientific curiosity and the learning of scientific skills. After all, science is more than just knowledge, it is a way of seeing, doing and thinking underpinned by curiosity and exploration. Science is a creative process. Active exploration of immersive pedagogies, alongside a reflective exploration of available learning spaces, would undoubtedly inform the Museum on ways to build and shape the Museum precinct. By working with the University to explore what Susan might describes beautifully as Live Learning Environments (discussed below), we may increase our chances of developing a Museum that will continue to be widely known and frequently used as an educational resource. Such a project would be underpinned by a philosophy of creative education at the Museum. This project was underpinned by a project proposal as envisaged and authored by the architect Susan. This section of the proposal has been omitted from this blog post. What made this project an exciting proposal was the potential of collaboration between educators and architects so as to inform each other on the design of learning spaces. The project also had the potential of a co-design process involving students. Museum/University/Architect partnership to explore the design of engaging learning spaces. This phase would view Museum educators as learners. Museum/University/Architect partnership to explore the design of external learning environments with a focus on how these spaces may be planned to facilitate learning. Museum/University/Architect partnership to explore creative learning environments. The richness of this learning journey may be enhanced by professional training as offered by Notosh, also looking at creative learning environments and professional learning in design thinking. Such exploration may result in reinvigorated internal/external learning spaces at the Museum and transformed learning through innovation, increased engagement and widened community participation. Future Schools Conference 2014 Conference. Exploring Learning Spaces and Digital Classrooms. How to cope in the knowledge economy? During my Masters of Eduction program I have had to develop strategies to cope with a deluge of information that flows into my digital learning environment via my knowledge networks. All of my digital data is curated into evernote. This information is filed according to topic but also heavily tagged. However, I am also finding it extremely useful to curate some of this collected information out into the world and onto my walls. The image to the left shows my lounge room wall, post-it-notes on post-it wall pads. The inspiration for such an approach comes from Google Ventures who provide strategies to set up a project war room. Notosh give suggestions on building a project nest. My study colleague Matt Ives shows his war door which is decidedly more organised than my wall. This is a rich learning task and surely a valuable strategy for any learner trying to cope in their digital learning environment.